Revealed at the opening party of Aston Martin’s Design Studios in December 2007, the unique Vantage RS concept was revealed by CEO Dr Ulrich Bez and resulted in a rush of customer interest and orders placed. Here was Aston Martin’s smallest car with their biggest and most powerful engine installed. The concept utilised the aluminium VH chassis architecture and in this instance, was fitted with an Aston Martin Racing supplied C-Spec DBRS9 engine utilising dry sump lubrication and highly specified components including tuned length exhaust manifolds, forged pistons and strengthened steel con-rods, with revised lift and duration camshafts and modified cylinder heads. This extraordinary power is transmitted through a manually operated 6-speed trans axle with limited slip differential. Bodied in aluminium and carbon fibre panels, some unique to the Vantage RS concept, the car included carbon interior fixtures and fittings, Alcantara trim and exclusive lightweight materials, still fitted. 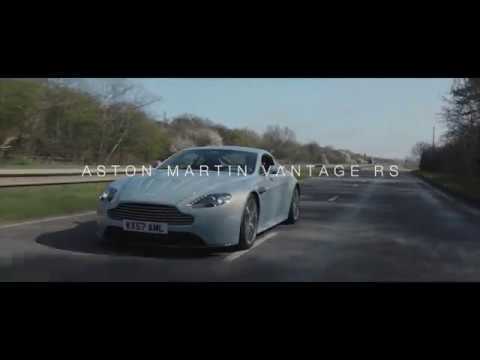 The total weight of under 1500kg - some 200kg under the weight of the production V12 Vantage. Tested at Paul Ricard in 2008, the Vantage RS was timed through the speed trap at 175mph, eclipsing the speed of AMR’s GT2, GT3 and GT4 car, tested simultaneously. The 580 bhp and 690 Nm of torque available in the 1500kg car, proved almost too fast to consider allowing the public to buy one. The Vantage RS, the very car we are proud to offer, was publicly revealed at the 2008 Geneva Motor show. The car was subsequently road registered in in 2014. One of the very few Aston Martin concept cars, to enter private ownership, the Vantage RS represents a unique opportunity for collectors to acquire a remarkable, road legal and fully functioning concept of what was to become one of Aston Martins’ greatest cars of the modern era. Road registered, in pristine condition and maintained by Aston Martin SVO, we are delighted to bring to market this unique original concept car.